Tell us if this is you: you’re stressed or recovering from an injury, so you’re considering a massage subscription. At about $100 each month and around $2500 per year, you could just instead buy an affordable massage chair that can last you for years! Take our word for it. We spent days researching and testing out the best cheap massage chair models in 2018. I tried them many of models perosnally, and I’ve made some list for you. We love lists and comparisons, which is why you’ll read a really comprehensive article. First, we’ll start off by comparing the best 5 budget massage chairs. I am also will provide 4 alternatives for the last one, in case you have a hard time deciding. And if you want a truly budget massage chair, we have a surprise in store: 3 extra models under $1000 reviewed! But we’re not stopping there. Many users rave about the Infinity 8500, but we think the Kahuna 6800 is better. Still, the Infinity 8500 is comparable to the Kahuna 7300, so we included a brief comparison between these two models as well. After that, we only have a few important questions answered and a conclusion. If you are looking for top of the line, best in the world models, read our guide on world’s top massage chairs. 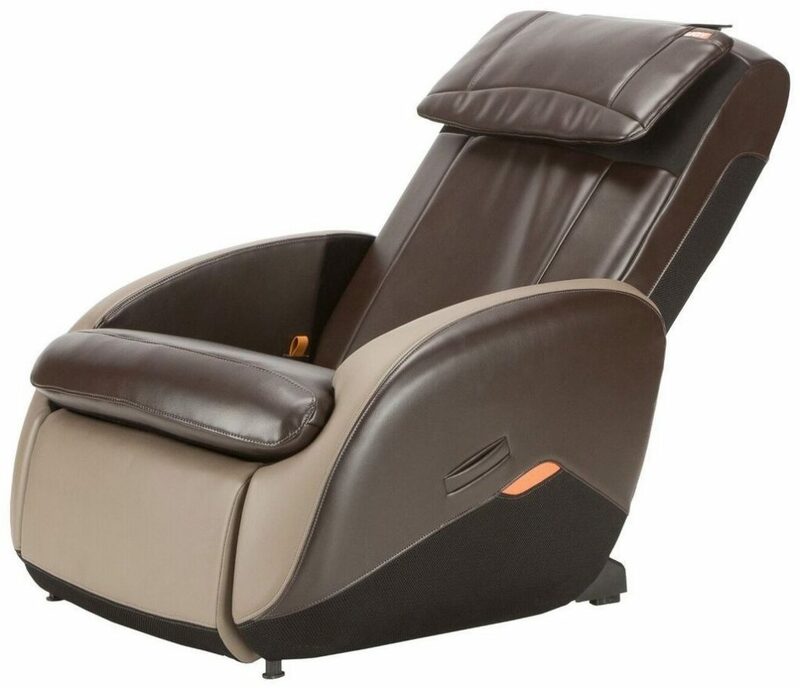 The best massaging recliner for you is right below. Hint: for us, it was the first option. We tried the Kahuna LM-6800, and its best feature is the hybrid track design because the S-track follows the anatomical spine curvature while the L-track offers a great glute and thigh massage. With its space-saving design and pivoting chair, the Zero-G seating is another perk for this affordable price. 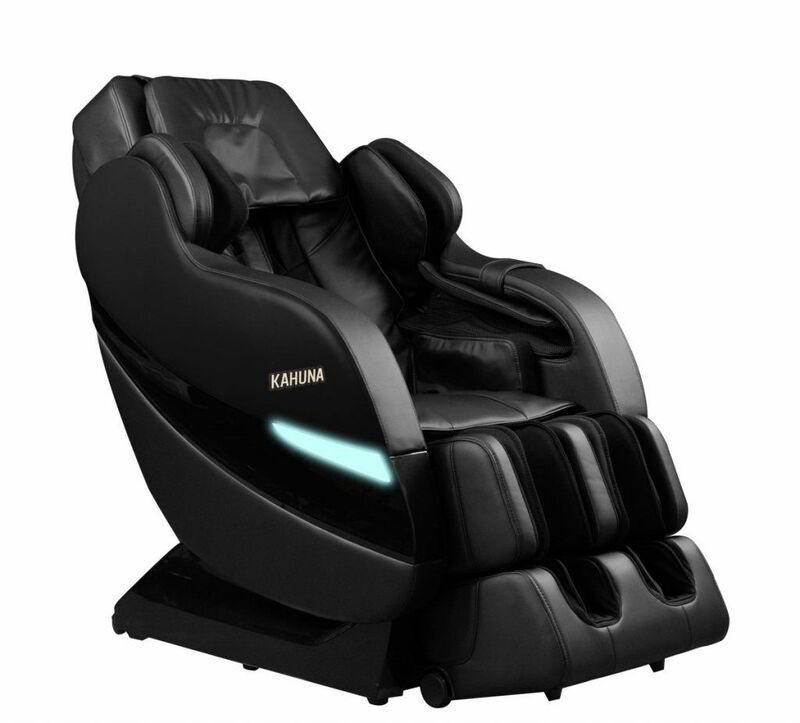 But in fact, the Kahuna 6800 boasts three zero-g positions, which is on par with more expensive massage chairs. Another feature thanks to which we got a great massage is the 3D body scanning technique thanks to which all our pressure points where reached. Surprisingly, the Kahuna offers a manual adjustment of the rollers, which is great if the automatic machinery misses a sore spot. 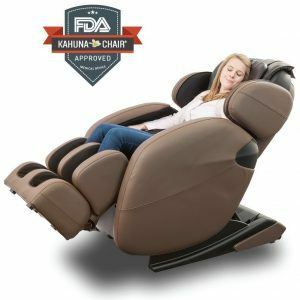 For a cost-saving chair, the Kahuna boasts whole-body air massage with 36 airbags, along with various massage techniques, such as Kneading, Tapping, Kneading & Tapping, Rolling massage and the more advanced Shiatsu. Plus, there’s a zone massage option to massage a fixed spot, the exquisite Yoga stretch option, and calf and foot massage. The back and calf heat therapy is another plus for the massage chair price range, though you can’t control the temperature. Another downside is that you can’t change the massage timer, but that’s not a deal breaker. 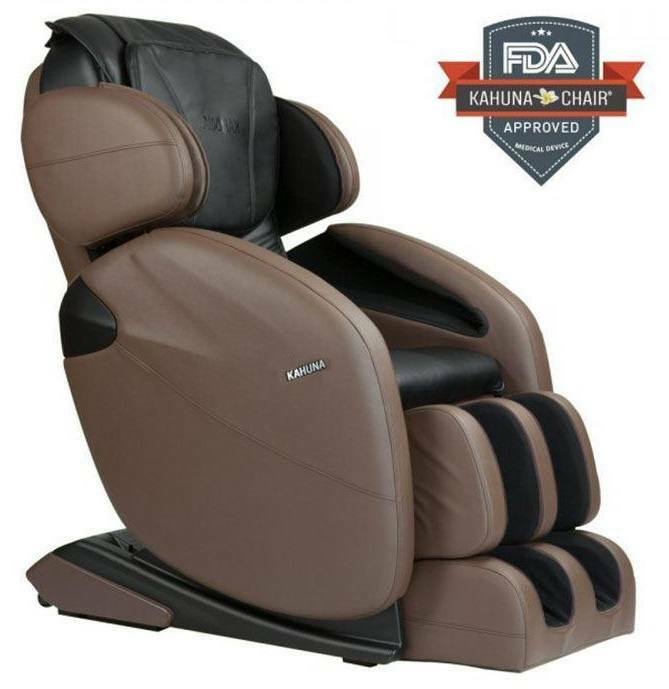 Summary: The Kahuna LM-6800 is a truly therapeutic chair, with plenty of high-end options. We tested this chair too, and it’s a definite contender to the Kahuna 6800. There are a few similar characteristics, such as the body scan system, the air pressure massage, and the manual mode. On the other hand, there are some differences: this chair only has an S-track, 2 zero-gravity positions (which is still a lot for a budget model) and just lumbar heat. However, that’s not to say there’s anything specifically wrong with these features, just that the Kahuna offers more options. We liked the PU covering for the seating though because that increases the overall durability of the chair. There are 6 built-in programs, hips, and lumbar squeeze, 5 intensity levels, and seat vibration massage. Conversely, the remote definitely has a learning curve, and the chair is not comfortable to use as a leisure recliner without the massage. Summary: The OS-4000 massage chair offers a decent massage, but there are no exceptional features. This affordable massage chair can be considered as truly ideal, at least because it’s a budget model that offers a Shiatsu massage. However, it’s a heavy item with default curb-side delivery, so you might want to consider paying extra for the white glove delivery. 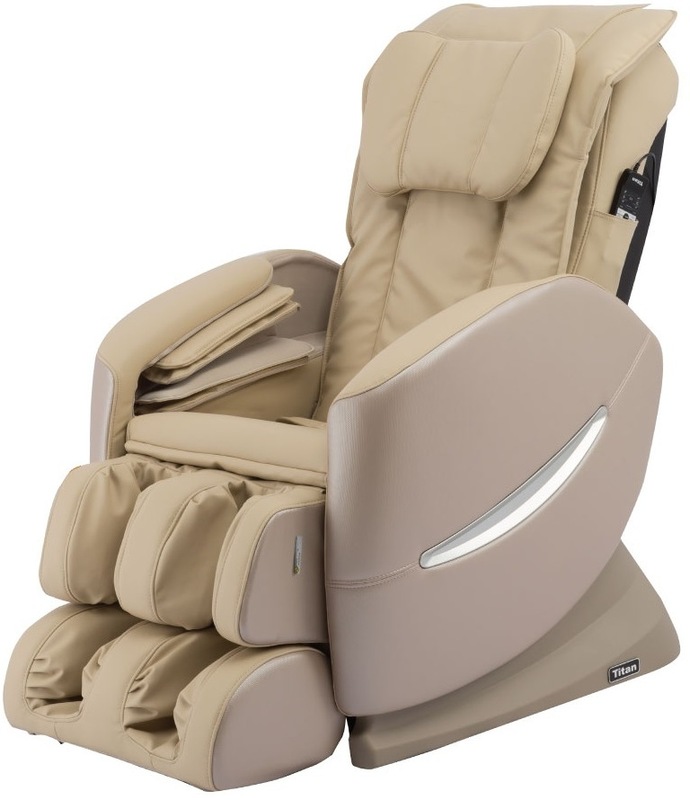 Just like the Kahuna 6800, it sports 3 modes of zero-g seating and the advanced Shiatsu technique. The other three techniques available are Kneading, Rolling and Vibrating, plus there’s lumbar heat therapy – so no foot and calf heat available. The 3-year warranty and 10-day return policy are good, but there’s a 20% restocking fee. With a decent massage quality offered by the air massage and vibrating chair, the 30-minute massage length is quite good too. However, the air massage for the arms seems too gentle. On the other hand, you will have to assemble the chair yourself, even though that’s quite easy. Another disadvantage is the lack of massage options, with no tapping, percussion or stretching. Besides, you can’t manually control your leg adjustment, there’s no feet massage, and the machine is a bit noisy. Summary: The Ideal Massage Shiatsu Chair is ideal for Shiatsu, but it doesn’t offer many additional options. The Kahuna 7300 has some similarities with the Kahuna 6800, starting with the SL track design that offers many therapeutic massage benefits. However, the six-roller system is an upgrade, offering more massage modes and a soothing, life-like human touch massage experience. This model also boasts a 3D body scan feature for locating all pressure points, along with the manual adjustment option for the rollers and massage area width. The 7300 has similar massage techniques to the 6800 model: the only difference is that it boasts Knocking instead of Rolling. But you also get the advanced Shiatsu technique and the relaxing Yoga Stretch. The Zone massage mode is another similarity, but the timer is adjustable with this model. Another advantage to this model is that it has various massage modes for different people: Dynamic Sports, Golfer, Office Person, and Senior, that you can easily customize. Conversely, the 7300 model provides soothing heat just for the lumbar area, and just one level of zero-gravity. Besides, there are just 18 airbags, as opposed to 36 for the Kahuna 6800. On the other hand, it includes user-friendly benefits like the removable seat cover, extendable ottoman, and space-saving technology. 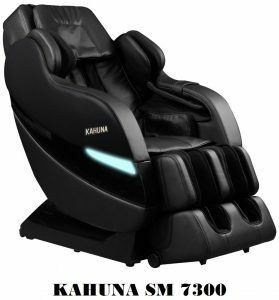 Summary: The Kahuna LM-7300 offers a real-life massage, though it doesn’t have outstanding features. The new arm design of the Titan Pro Alpha is a definite advantage: you just have to slide your arms into the sleeves, and you get a decent air massage courtesy of the built-in airbags. Even if it has 28 airbags, fewer than the Kahuna-6800, this is still more than other budget models offer. 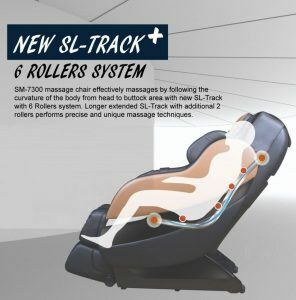 The L-track design is great for a comprehensive, neck to back to buttocks massage, though the Kahuna’s 6800 hybrid track is better. 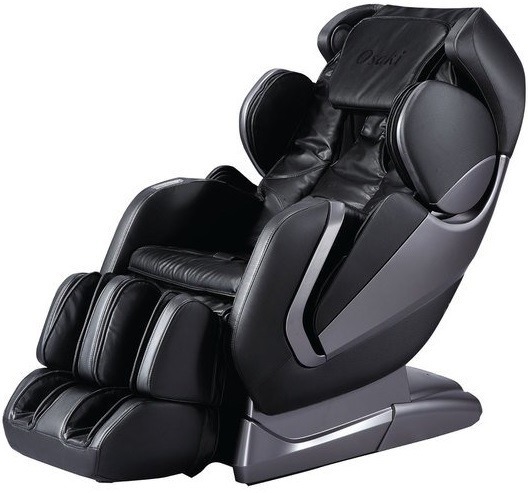 Although the Titan Pro Alpha has a space-saving design, it only comes with four built-in massage techniques: Kneading, Tapping, Kneading & Tapping plus Shiatsu. There are 2 zero gravity positions, fewer than the Kahuna 6800 offers, but still pretty decent. The dual-action foot rollers offer a great massage, and this chair comes with two advantages: Bluetooth speaker connection and memory function. Besides, it’s pretty quiet when compared to the Ideal Massage Shiatsu Chair. Other good features are the adjustable shoulders, plus the back pad pillow to adjust the massage intensity that’s otherwise quite difficult to change for deep-tissue L-track massage chairs. 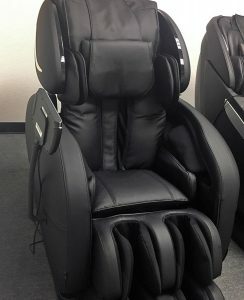 This chair also boasts a computer body scan system and 6 built-in massage programs: Express, Wholesome, Classic, Oriental, Swedish and Chiro. With manual massage mode and side panel control, this chair is easy to operate. However, the remote has a learning curve. Read more about Titan massage chairs here. Summary: The Titan Pro Alpha is a good chair for therapeutic purposes, although it doesn’t offer many built-in techniques. If you like the Titan brand, here are a few more electric massage chairs below. The Titan TI-7700 has some amazing features, particularly the squeezing technique that we loved on our feet, legs, and arms. 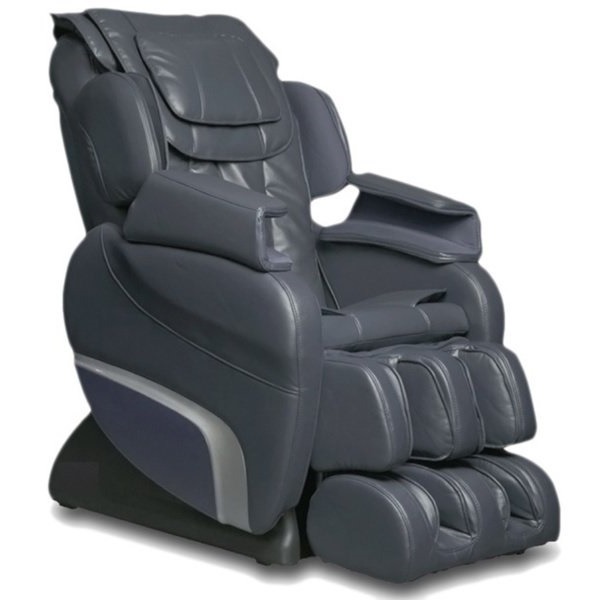 We could even adjust the massage intensity, and raise our legs when the chair is reclined. On the other hand, we’re not huge fans of the shoulder air-bags because they tend to make broad-shouldered people quite crammed. Otherwise, we like the foot & calf massagers, plus the hip and seat vibration that’s really therapeutic. Other therapeutic features are the low lumbar heat, zero gravity positioning, and spot feature. There are 6 built-in massage techniques and 5 programs, including a Senior circuit. Even the remote is easy to use, as opposed to the Titan Pro Alpha. The TI-Inversion aims to offer a true Cloud Comfort, starting with the Italian leather tapestry. There are also built-in speakers, and the zero-gravity position is great for people who are recovering from surgery. The vibration massage offered from your upper shoulders to your calves feels invigorating, and you can adjust the three levels of massage systems intensity. However, the most valuable advantage of this chair is Inversion therapy, which allows you to sit upside down. A full-recline chair, it can improve your spinal health and reduce back pain and inflammation, plus it comes with a 3-year “rock solid” warranty. 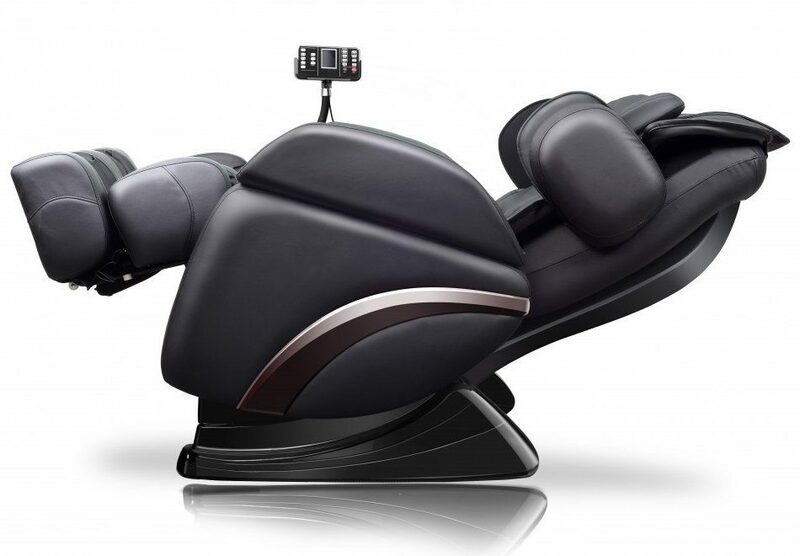 The TI-Comfort 7 is an ergonomic, relaxing robotic massage chair with an S-track that offers a vigorous massage from the neck to the lower spine. The auto-recline option allows your feet to lift when you’re reclining, plus there’s an auto body scan, 12 airbags for a squeezing-like massage, seat vibration, and zone massage. There are 6 manual massage modes, including Tapping, Kneading, Tapping and Kneading, Rolling plus Shiatsu and Swedish. There are two Comfort and one Relaxing built-in programs, the remote is easy to use, plus there’s a remote holder pocket on the side. The best features of this chair are the lack of shoulder restrictions and the built-in shoulder program, though it has an advanced massage technology, that includes zero-G and outer shoulder massage. Some good features include computer body-scan, foot-and-calf massage, S-track design, 2 stages of zero gravity and air massager with fewer cells at a bigger volume. 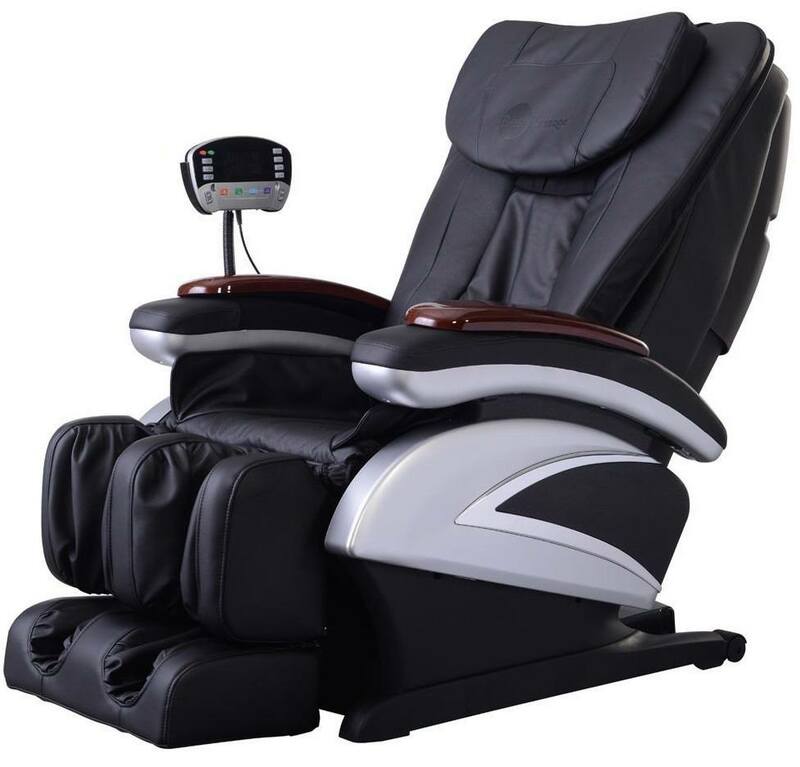 The arm air massage is quite vigorous; there are an auto-recline and leg extension, plus a rare LED chromotherapy lighting for affordable massage chairs. The reclining chairs below are for sale at really affordable prices, so read along. 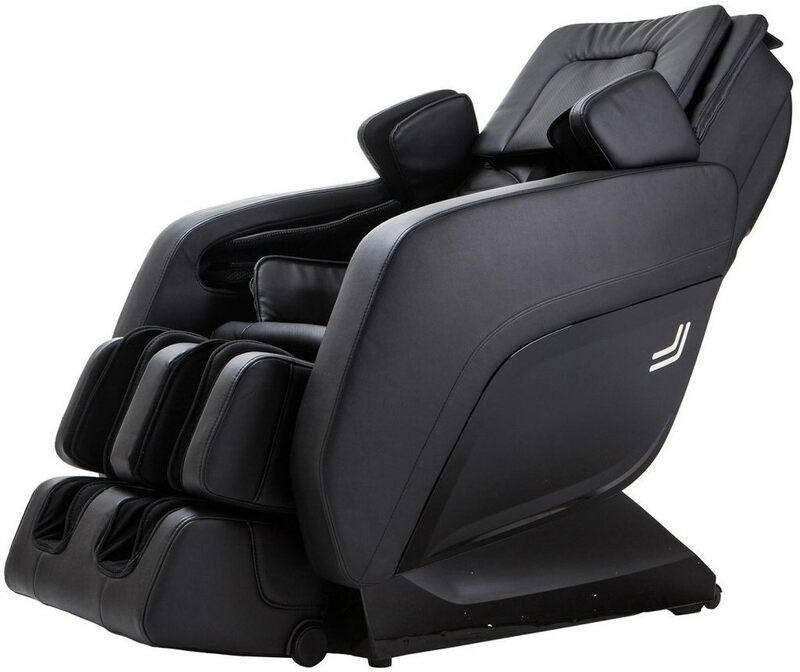 One of the best features of this massage chair is its massage techniques that can provide stress relief and improve circulation. Orbit and Glide especially feel like the movements of actual massage therapists, while the patented FlexGlide technology makes the massage quite smooth, with no pinches. Although it doesn’t have zero-gravity, the Active 2.0 offers a maximum 180ᵒ incline to decrease spinal pressure. There are three built-in programs, for the whole back, neck and shoulders and lower back. The design is accessible, featuring a head pillow and foot massager. The downside, apart from the few massage options and no zero-G, is that this chair can only support petite users. Summary: The iJoy Active 2.0 is the perfect relaxation chair, though it only has the basic features. With an S-Track design, slightly heated rollers and neck massage function, this chair offer a good massage. The automatic body scan isn’t extremely accurate, though it’s not horrible. 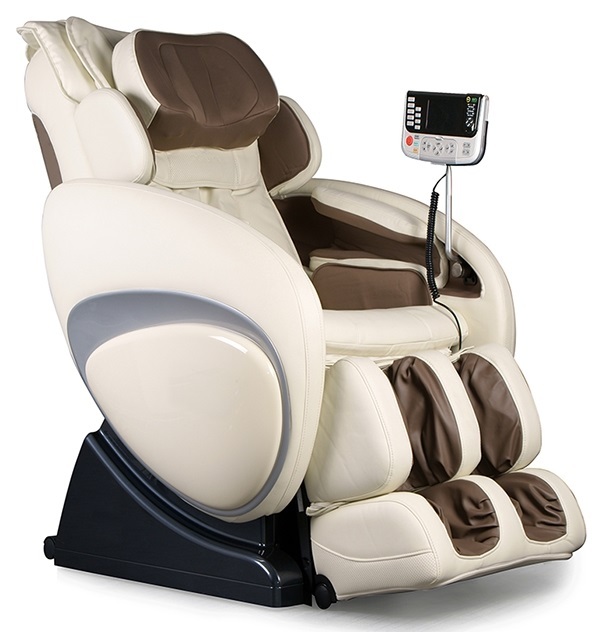 There are quite a few options with this chair, including four massage techniques and three auto-massage programs at different intensities. The Shiatsu massage is by far the best, but the air massage mode comes at a close second, thanks to its 30 first generation airbags. The calf-and-foot massage is weirdly amazing for a stretched foot even if there are no rollers used for it, just the air pressure. Conversely, the vibration massage is unpleasantly intense, and the chair is particularly noisy when in this mode. A good surprise is the lumbar and foot heat, even if you can’t adjust the temperature or can only activate the heat for both areas simultaneously. Other great features are the extendable ottoman and the easy to use control panel, but the chair is designed with petite users in mind. 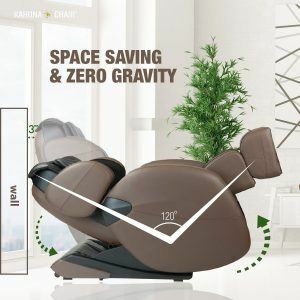 The worst feature of the Real Relax Zero Gravity is the 8 built-in massage points in the backrest which might not massage your pressure points. However, the chair has 50 airbags throughout the chair which inflate and deflate in turns for a comfortable massage. There’s a zero-gravity feature too, foot roller massage and heat therapy for the lower back and feet, while the pulsed arm massage feels great. This portable massaging recliner has two casters to move it around with ease, and a massage session lasts up to 30 minutes. 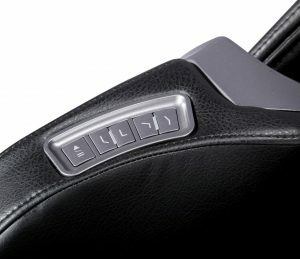 There are 4 built-in programs, apart from seat vibration. However, you can’t adjust the speed and intensity of your massage, though you can adjust the foot rollers. The black leather from which the chair is made is low-maintenance, and the advanced HD VFD display is easy to use. On the other hand, the extendable footrest can’t accommodate tall users. Summary: The Real Relax offers a decent massage if your anatomy happens to fit the fixed massage points. We already talked about the Kahuna SM 7300 above, so let’s see how it compares to the Infinity IT-8500, another top choice in the lower price range. A first difference is that the Infinity IT-8500 offers inversion therapy to lengthen your spine and relieve pain thanks to the Tru-Grip V Stretch. Although they are both zero gravity massage chairs, the Infinity IT-8500 features two positions of zero gravity to decompress and improve your circulation. The waist twist with 3 speeds is another great program that stretches your lower back and hips, decreasing tensions. The optical body scanning technology used for the Infinity 8500 is similar to that of the Kahuna 7300, though some would say it’s more accurate. The quad style massage roller feels very realistic, with three levels for the width and 6speed levels. On the other hand, the 30-inch S massage track is not as good as Kahuna’s hybrid SL-track design, although it can accommodate people of different heights. 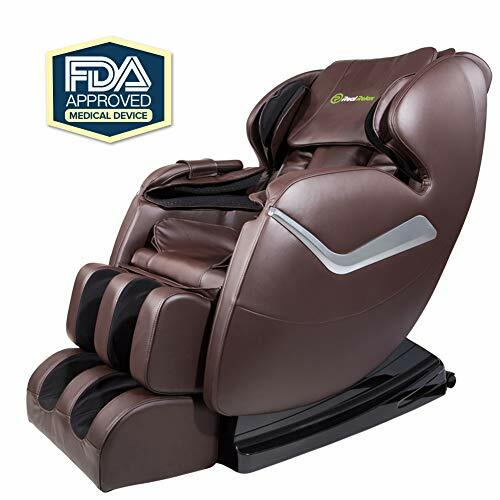 With more airbags than the Kahuna that is strategically built-in the chair, the compression massage feels great, offering a truly deep tissue massage. 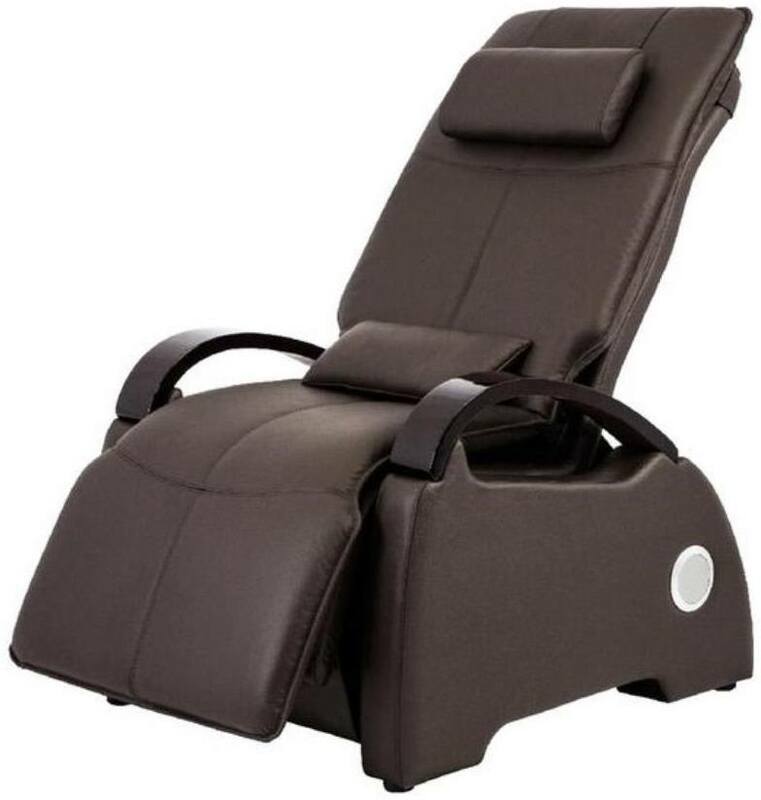 Besides, just like the Kahuna 7300, the Infinity massage chair offers lumbar heat and good foot massage, but it features one extra massage technique apart from the five they have in common: the Synchronic style that massages you on the beat of your favorite tunes. Because yes, the Infinity-8500 also includes an MP3 player and built-in sound system! However, the 4 built-in massage types with the Infinity can be considered less personal than the ones offered by Kahuna 7300, which fit different categories of people. The spot massage is another similarity, but the Kahuna 7300 has the exquisite Yoga Stretch. With that in mind, we feel that the Infinity 8500 is hands-down a better chair. While the Kahuna boasts the great Yoga Stretch and the SL-track, the Infinity 8500 has better features for therapeutic purposes, like the inversion therapy, one extra zero-G position, waist twist and increased number of airbags. Besides, the Synchronic style and built-in music system are user-friendly additions. 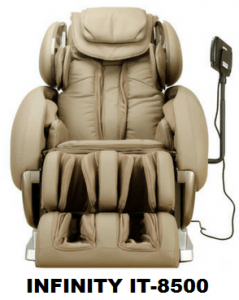 The answer which budget cheap massage chair is the best depends on various factors, but the two most important are purpose and budget. 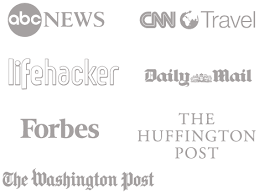 Check our reviews above to see which models can fit your budget, then consider your purpose. If you want a massage chair for therapeutic purposes and post-surgery healing, make sure it has at least one zero gravity seating option. A full-body Shiatsu massage chair recliners the best for sore muscles, while those with a full-body stretch are great for relaxation. If you want a great chair to unwind after a hard day at work, you don’t need a lot of massage options, techniques or functions – even the basic chairs in this review can provide a decent massage. If you’re very particular about your needs, consider a chair with a memory function or with very customizable options. This is also a great choice if there are more people in your household that will use the massage chair. One option would be to visit the official website where these chairs are retailed, especially considering you can choose between various delivery and shipping options. You can also select a warranty or can use gift cards for your power recliner. 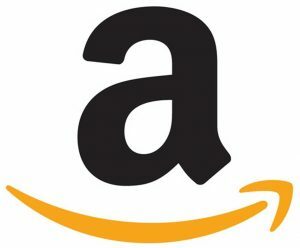 Otherwise, you can try trustworthy websites like Amazon, which has a fast delivery system, good shipping rates and you can pay with your credit card. Amazon is also a good choice in terms of returning options. We reviewed a lot of chairs in this article, but we couldn’t help ourselves: we wanted you to have the complete picture so you can compare, contrast and make the best choice. 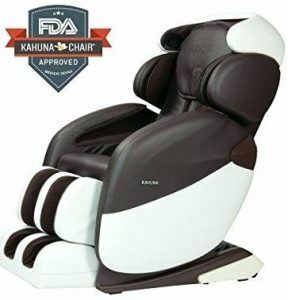 So here’s our opinion: the Kahuna LM 6800 is a premium robotic massage chair, with top features that recommend it for therapeutic purposes, including the SL-track design, 3 zero-G seating, comprehensive air massage, plus lumbar and feet heat therapy. The other chairs are reliable too, though they have more important disadvantages. In terms of the under $1000 category, all the chairs there are good, offering basic massage functions. The iJoy Active 2.0 is the best in this category, with the only disadvantage that it can only fit petite users. Otherwise, it’s more accurate and offers better massages than the other two chairs, even if it doesn’t have the zero-G option. And when it comes to a comparison between the Kahuna 7300 and the Infinity 8500, the latter is a better alternative because of multiple therapeutic functions. But that’s just our point of view. 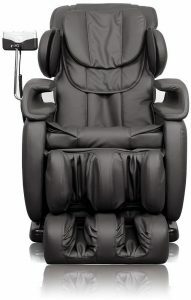 Let me know what’s in your opinion is one of the top rated cheap massage chairs out there and why?